With the growth in popularity of gravity assisted mountain biking there has been a corresponding decline in the attention given to one of cross-country mountain biking’s most important descriptive statistics—the dab. 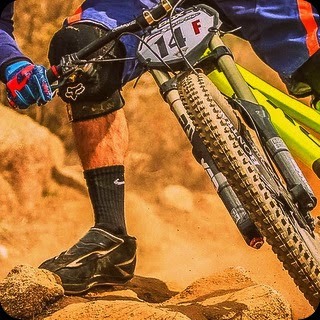 The word has many meanings, including ‘the application of hash oil to a heated surface for the purpose of efficient combustion,’ although this definition is probably more applicable to the downhill, rather than cross-country, segment of the sport. Thanks to festivals like Crankworx and the popularity of snappy mountain bike videos with banging soundtracks, many professionally built trails are now judged based on their speed and flow rather than on their technical challenges. In these videos, it’s very rare to ever see a rider put a foot down unintentionally. While flow trails do still contain obstacles, they can often be navigated at high speed (bombing) or in the air (launching). 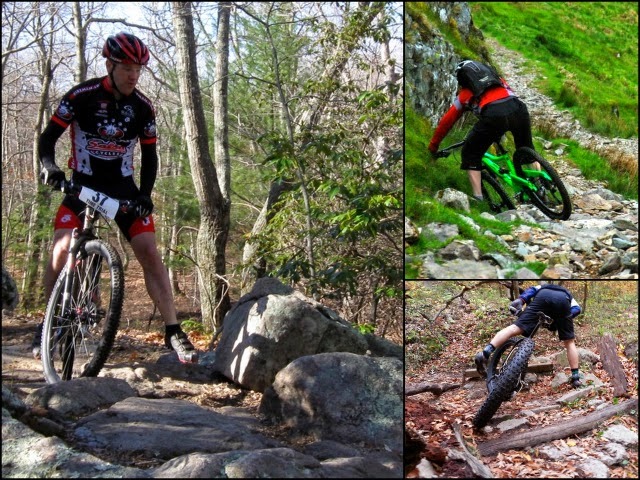 However, in the historically (and still also Olympically) significant sport of cross-country mountain biking, more low-speed technical sections exist to challenge riders’ skills, particularly on climbing sections of the course. Some fine examples of the dab. The dab also lives on thanks to the relatively obscure sport of Mountain Bike Observed Trials. In these events, riders are challenged to navigate a man-made or natural obstacle course with the fewest number of dabs. Although a UCI-recognised sport, Mountain Bike Observed Trials is not often broadcast in Australia. In recent years, some of the most popular trials videos have actually been those involving road bikes. While the dabs in these sorts of videos are reserved strictly for the blooper reel, there is even the occasional professional road race where riders are forced to dab and dismount. 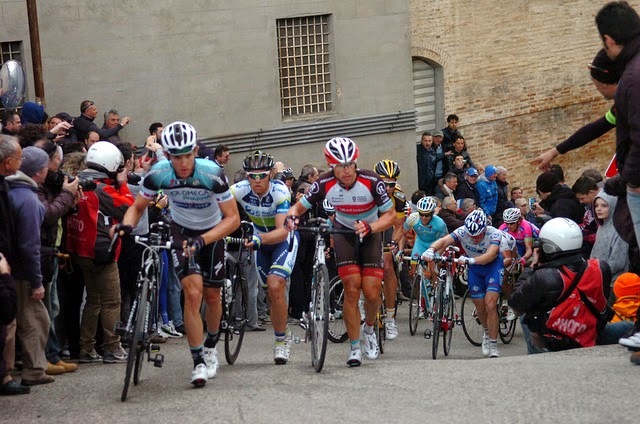 Stage 6 of the 2013 Tirreno-Adriatico saw riders dabbing and then walking uphill. Unfortunately the rise of cyclo-cross racing has led to widespread acceptance of the idea that there’s no shame in dismounting, especially if a section can be more quickly navigated on foot. However, for old-school cross-country mountain bikers, there is little that compares to the thrill of being able to ride a difficult section of trail without putting a foot down, especially one that your riding mates are unable to clear. While most Cyclo-crossers have a shameless disregard for the dab, Observed Trialists are officially penalised for any infraction. One way to add to the excitement of a group cross-country mountain bike ride is to announce dabs whenever they occur. This will both quantify the skill level of each participant and shame the lesser riders in to improving. Calling out a catchy phrase such as ‘Yabba-dab-a-doo’ any time a rider dabs is a good way of announcing each infraction to the group. 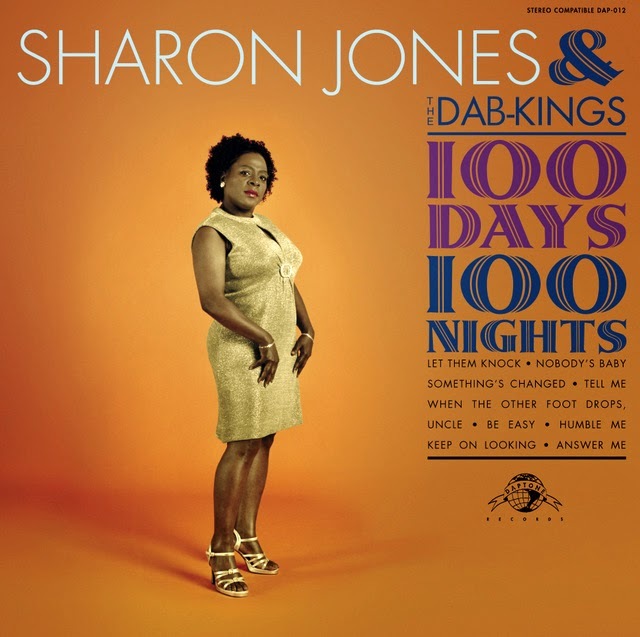 If there are several riders particularly adept at running up a tab at the dab lab, then labelling them Sharon Jones and the Dab Kings can also work well. If a group contains particularly skilful riders—those who would be lucky to even have-a-dab-a-day—then specific tactics can be employed to try and force them in to a few more business trips to Dab-u Dhabi. Brake checking can be a good way of suddenly robbing a following rider of their momentum before a difficult technical section or uphill switchback, hopefully forcing them to spend some quality time in the hyper-dab-ic chamber. While it might seem ridiculous to keep a running tally of dabs on a social ride, it’s important to remember that having fun when you’re wearing lycra and don’t have a dropper seatpost can be a challenging task. As described in this article, the fun revolution has already happened and drastic measures are going to be required if cross-country mountain biking is to withstand the onslaught of gravity enduro. 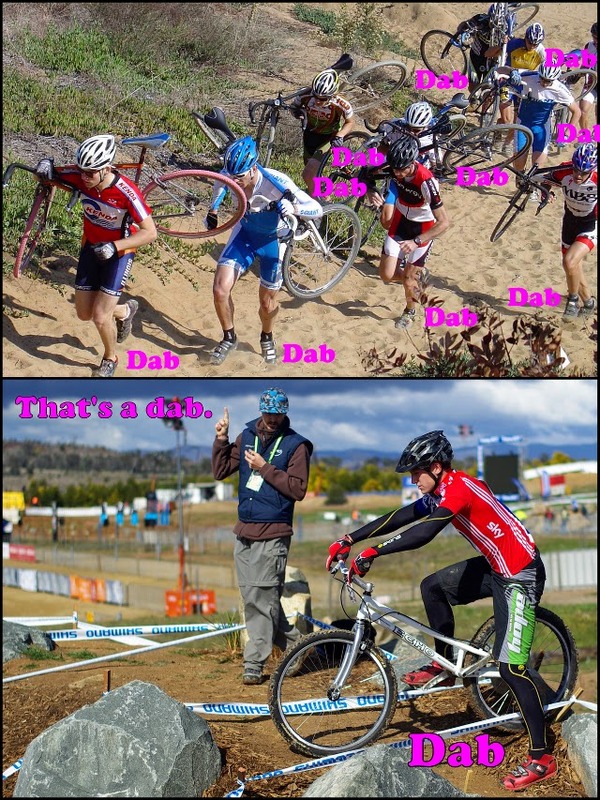 So why not try incorporating a dab contest in to your next cross-country ride? The loser buys…and the beer of choice? 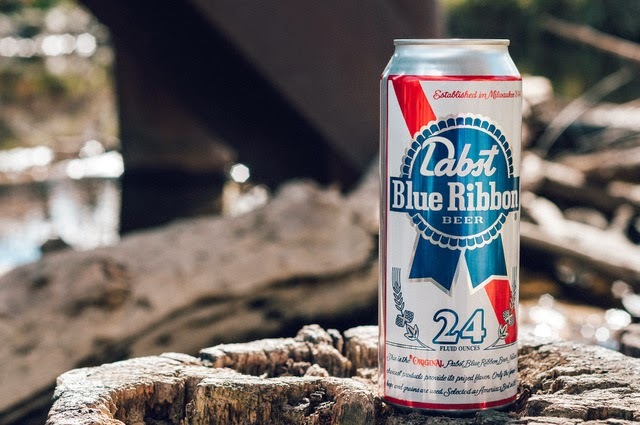 Obviously, it’s Dabst Blue Ribbon. A dab will do you. Thanks to these generous sponsors for helping me to ride my bike and write about it.. Simple theme. Powered by Blogger.